Joining a school Sixth Form is an exciting time full of new experiences, as students can focus their studies on their favourite subjects. But with this comes the stressful process of revision for A Levels, university applications, and did we mention exams? Harrow International School Bangkok’s Head of Sixth Form, Karen Prout, is an expert in every aspect of Sixth Form life, having guided hundreds of students at this British Curriculum day and boarding school onto top universities around the world including Cambridge and Yale. You don’t need to know what you want to study at university, or even what country, when you start A Levels. Students often change their mind when they start exploring A Level subjects in greater depth. My advice is to keep your options broad and choose what the Russell Group universities in the UK call ‘facilitating’ subjects. from teachers and members of the Sixth Form Team. We fully understand the stresses of A Level study – a problem shared is a problem halved. Having English as a second language isn’t a barrier to join the top universities. 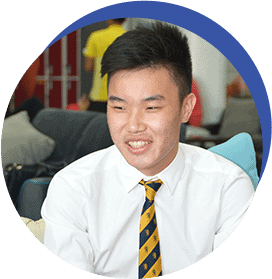 At Harrow Bangkok we have some students who join our Sixth Form having only studied in English for two years and, with hard work and teacher support, they graduate with superb A Level results and go onto the best universities in the world. We tell our students how important it is to eat well, spend time with family and focus on their overall wellbeing. Our students are fully involved in a wide number of programmes the School offers, from community service to leadership roles and sports. read the news and develop informed opinions on current issues. Universities are looking for students who have a genuine passion for learning and a particular field. Find your passion and you will never work a day in your life! I hope to study medicine at university – it’s really helpful being in the Sixth Form as we have a Medics Society to help us work towards our career path. The Rayleigh Centre is amazing; most of our classes takes place in this brand new building, so it feels like it’s just for us Sixth Formers. I was at school in Vietnam before I came here. 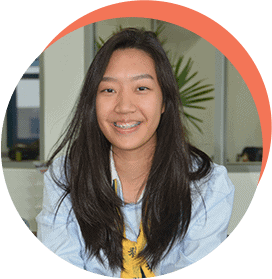 I was attracted to Harrow Bangkok as I want to study A Levels so I can apply to Oxford and Cambridge – the Sixth Form tutors here offer intensive help for this application process. I take part in the Model United Nations (MUN) that the School runs, which develops our confidence and leadership skills, and gives us the chance to meet people from other countries. 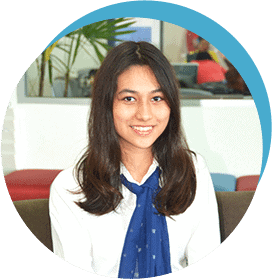 Being a student at Harrow Bangkok means you always have full support of what you want to do. When I wanted to form a charity group with my friends, I met with the School’s Leadership in Action team, who helped me to make this a reality and organise trips to educate underprivileged schools in many provinces across Thailand. I believe that Harrow Bangkok has the best Sixth Form team in Bangkok. They spend countless hours providing us with new opportunities to equip us with the skills we need to be successful in the future. The Benefits of Boarding: How to Get the Best From it!